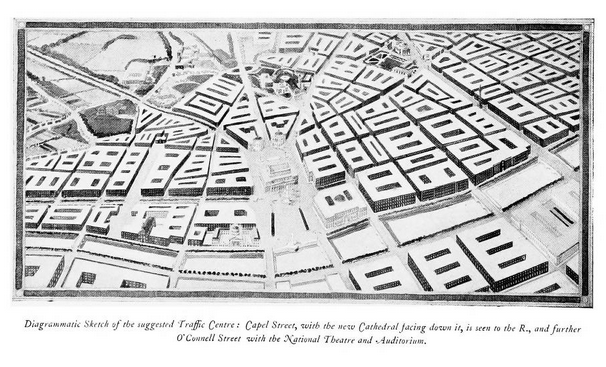 Patrick Abercrombie’s vision of Dublin (1922) | Come Here To Me! « A brief look at the sedan chairs of eighteenth century Dublin. 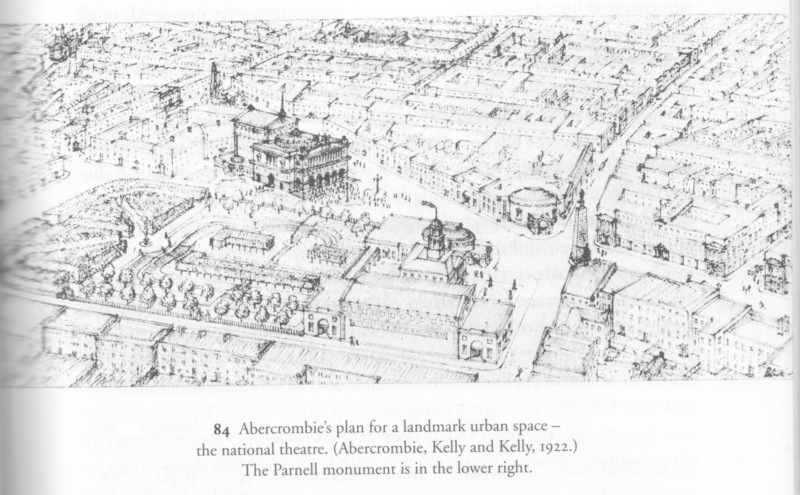 Sir Patrick Abercrombie, the British architect and town planner who redesigned London after the Blitz, was long connected to Dublin city. He was the winner of the 1916 Civics Institute of Ireland competition on town planning for Dublin which gained him £500 and recognition. Later, he was responsible for the sketch development plan of Dublin produced in 1922 produced on the basis of his competitive designs and a revised report produced in 1941. You can read more about him on Archiseek here. Credit – Dublin: through space and time (2001). 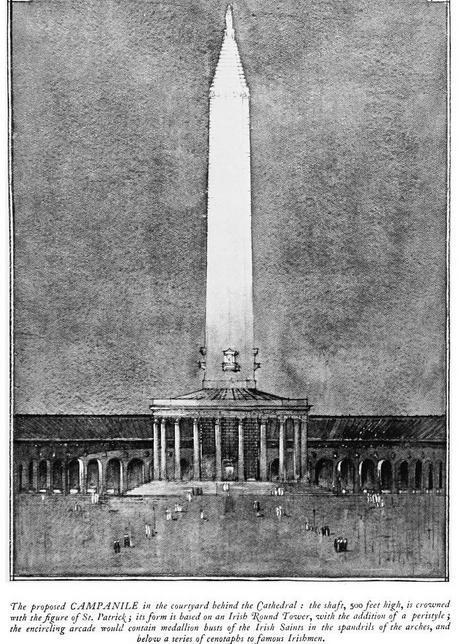 A sketch of the towering 500 ft. campanile that would have been placed behind the new Cathedral on Capel Street. For more, you can view the full pamphlet here. on January 26, 2016 at 7:26 am | Reply Dublin Re-Imagined | Come Here To Me!